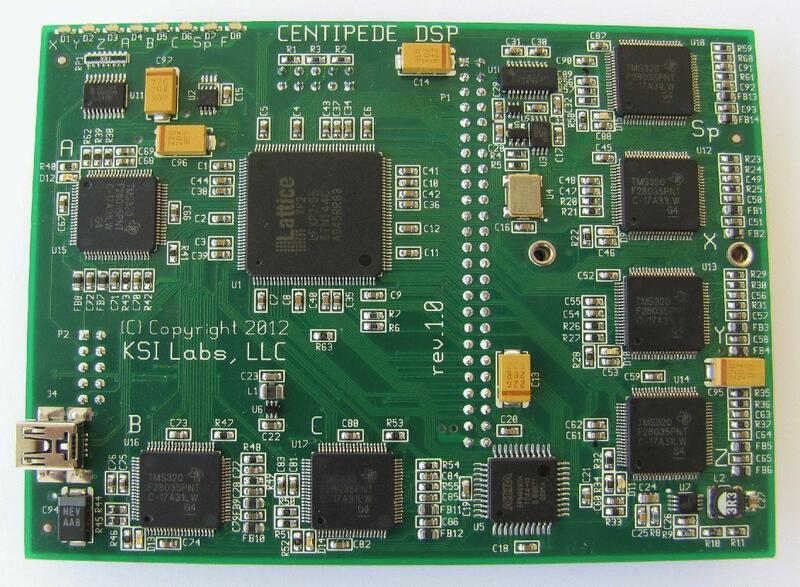 This is the first prototype of DSP add-on board for existing CENTIPEDE product line. It does NOT work yet because there is not software for it but it did pass a "Smoke Test" :) It is quite a long road to get it fully working but it is way closer to that point now— it was a very challenging board to layout because of mechanical constraints and now it is done so I can start writing software for it. 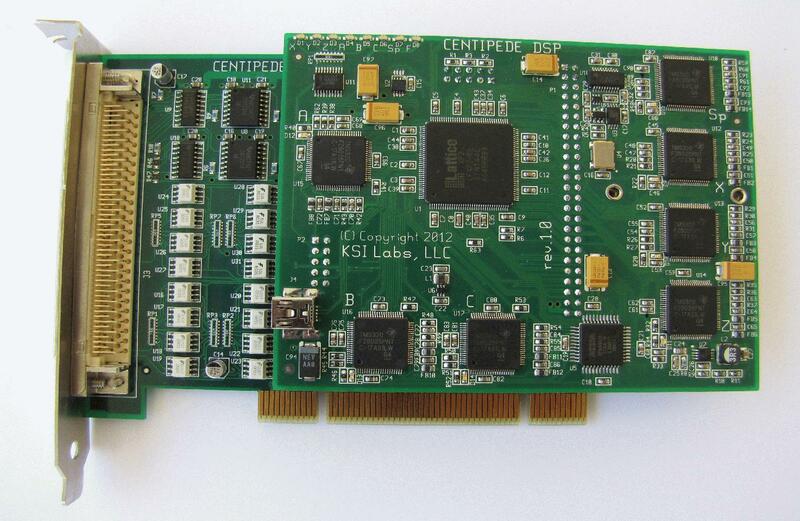 This board directly plugs into existing CENTIPEDE-PCI and in its simplest form uses the entire existing infrastructure. In such configuration it will allow for way higher step rates (up to 2MHz that is limited by existing cables and transmitters,) very complex high-order motion control (not just cubic but up to 6th order) and it will do a lot of stuff totally on its own without any assistance from the host PC/Mach3. It will do way more in its full configuration, with its own set of breakout boards and interfaces (those are on the drawing table right now.) Among other things it will close servo loops on itself by taking encoders or resolver outputs and controlling simple servo amplifiers with +-10V or whatever is required. It will also run stepper motors in servo-like fashion, with encoder/resolver feedback and almost sinusoidal drive with tiny microsteps. Any type of encoders will be allowed—incremental, absolute, analog resolvers, quadrature, EnDat, DeviceNet, SPI, ProfiBus, etc. It will also do VFD and other complex spindle control and it will implement lathe threading/rigid tapping on itself—that is what that seven axis, Sp (for Spindle) is for. With proper servo motor on the spindle it will provide perfect gearing, speed and position control so it will allow for CSS, various very complex threads etc. Just a note for those who did not notice —there is a separate DSP per each and every axis (7 total) so it is capable of extremely complex things at very high speeds. 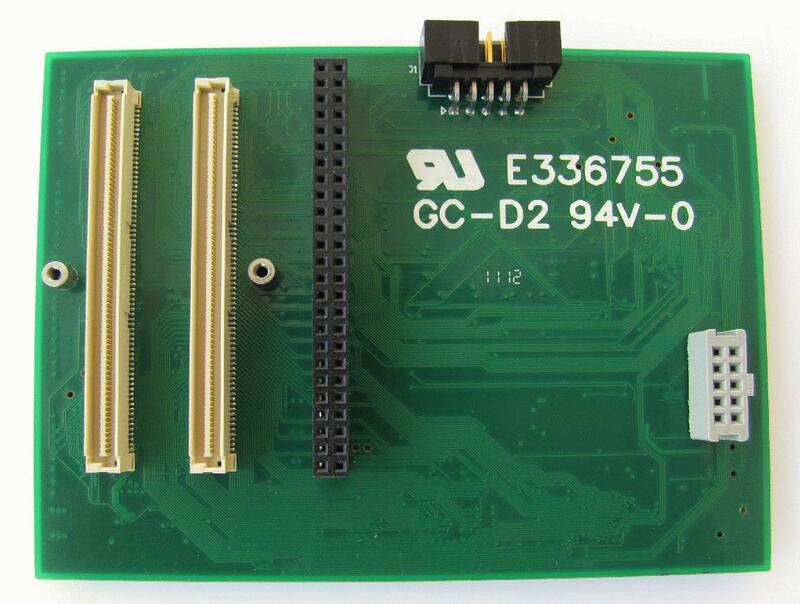 Here are some pictures of the DSP board itself and PCI-DSP assembly to show what we were talking about and to give a general idea of what it is and how that all fits together. Please note that those full-size pictures are REALLY big so please try to avoid them if your Internet connection is limited. Sorry for not making those pictures very professional looking— there is simply not enough time to do that because all time is spent on product development—so please do not judge us on those photos. We are way better engineers than web designers or photographers.